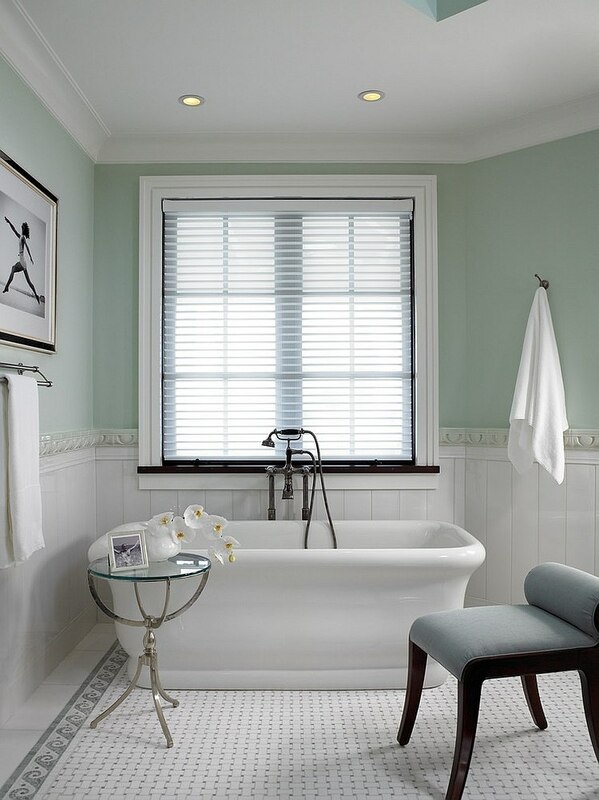 While we are stuck in the cold of winter, the interior design industry is already readying itself for the season ahead with a lineup of Spring Collections that will charm you with their elegance. 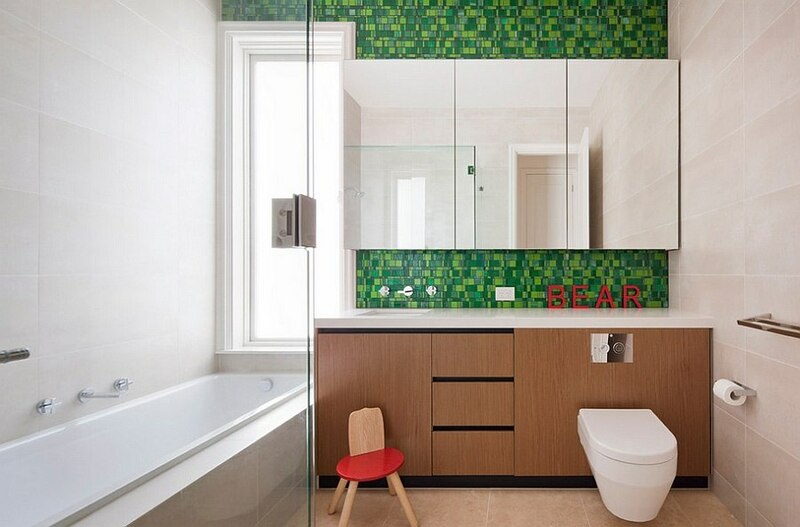 And as we look forward to this time of new beginnings, cheerful warmth and reinvigorated natural beauty, green is one shade that stands out instantly. 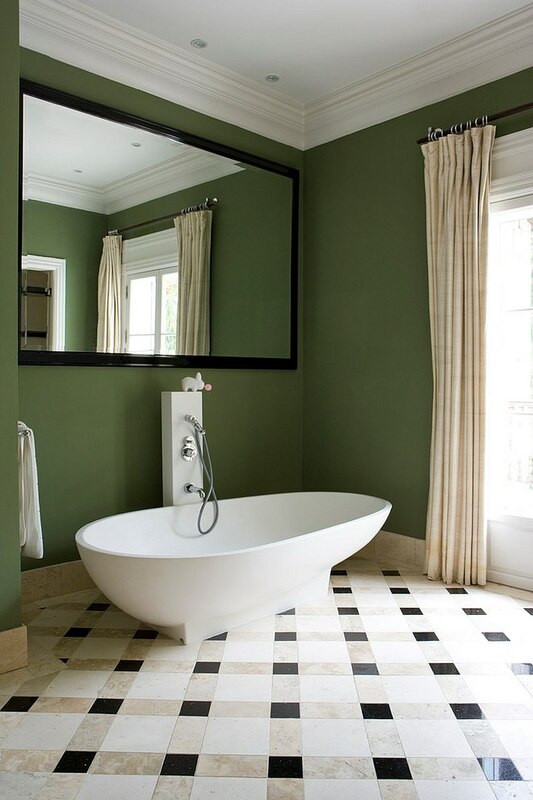 Green is an organic part of spring collections, and its presence instantly adds an air of freshness, tranquility and at times opulence. 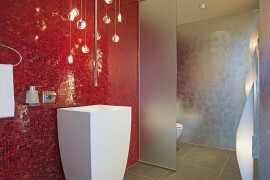 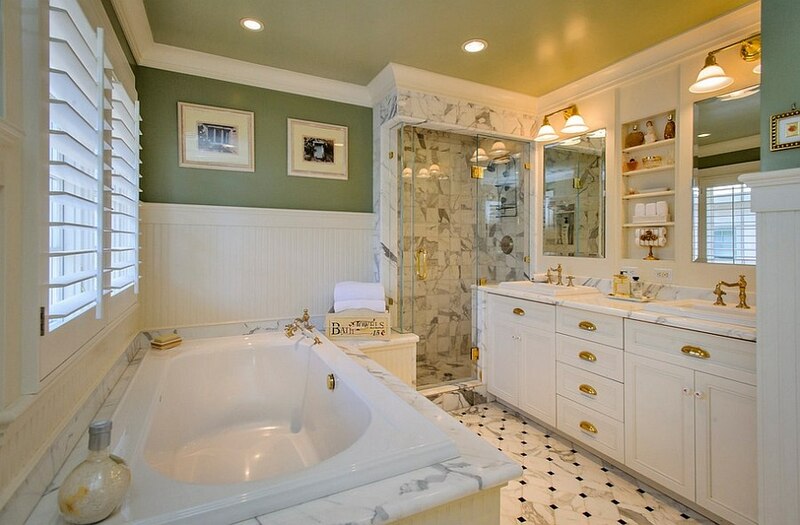 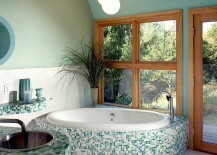 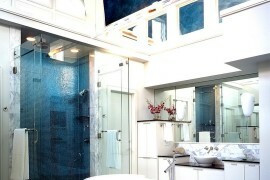 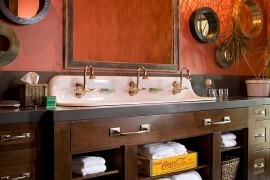 It is also one of the most popular colors in bathrooms following the neutral white and perennial blue. 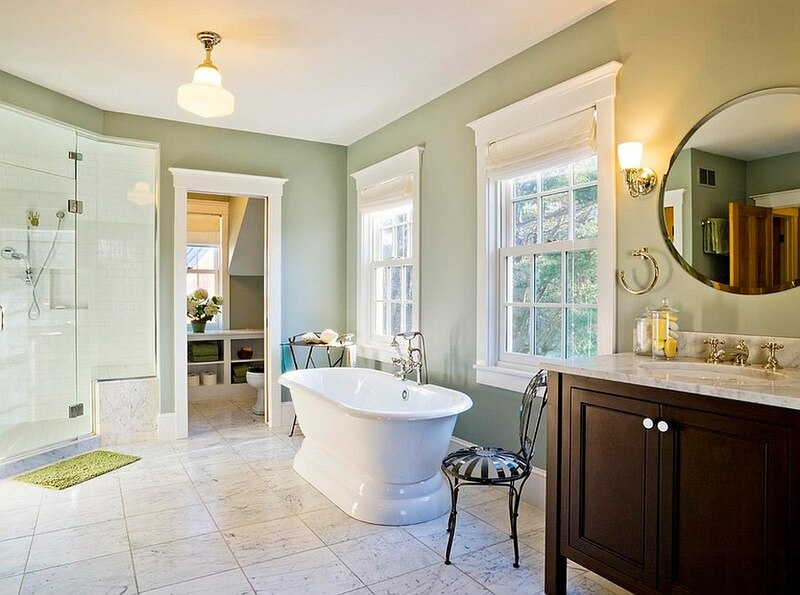 So, why not turn to this inspiring hue as we kick start 2015? 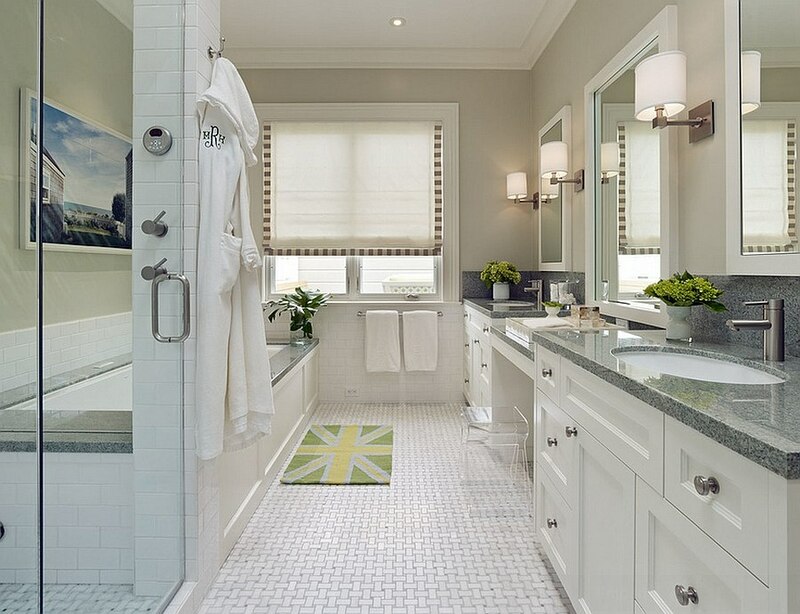 With experts predicting sustainable design, Asian-inspired themes and soothing spa-style settings as the top design trends of 2015, now is the perfect time to consider adding green to your bathroom. 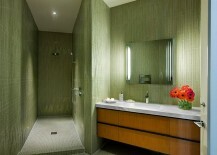 And today we have 20 of the very best green bathrooms that showcase how to get it done in sizzling style! 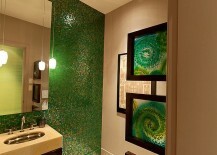 The beauty of green lies in the wide variety of shades, hues and tones that it comes in. 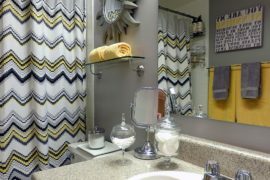 This makes it perfect for almost any theme you have going in the bathroom, be it contemporary, minimal, vintage or farmhouse. 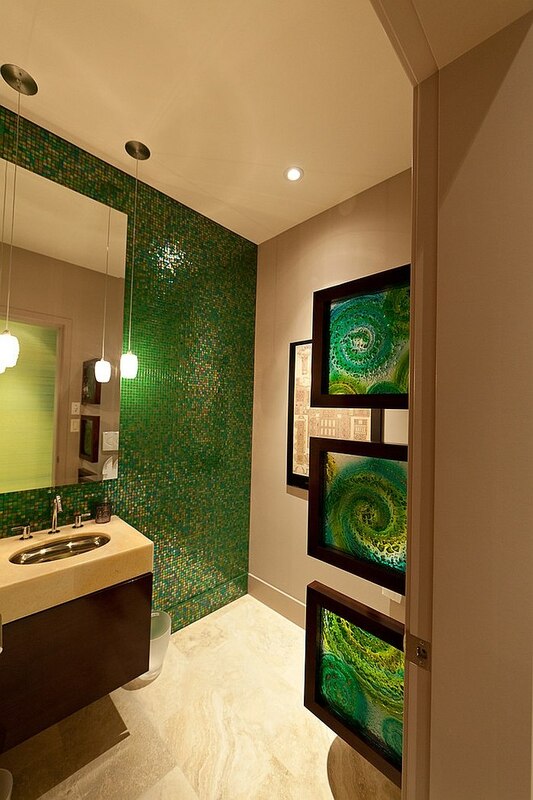 More essentially, you can vary the shade of green to shift from a quiet, understated look to a daring, audacious style without any hassle. 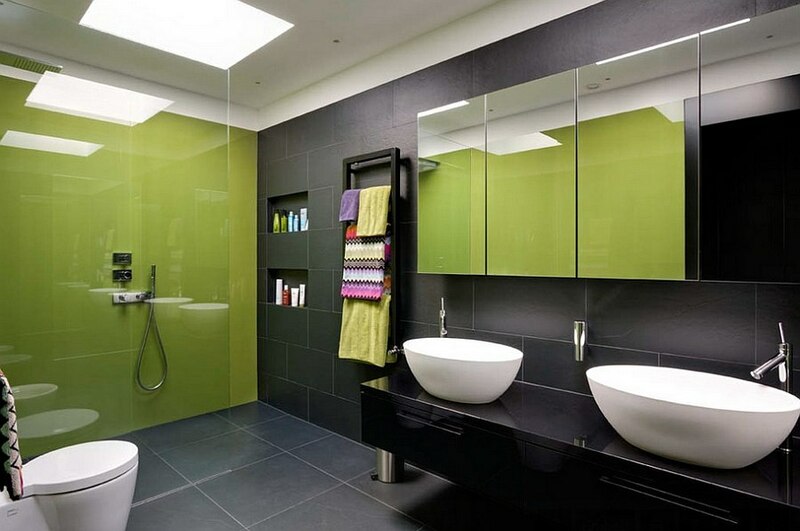 Shades such as chartreuse or bright lime green even add a touch of neon brilliance to the bathroom and do so with plenty of panache! 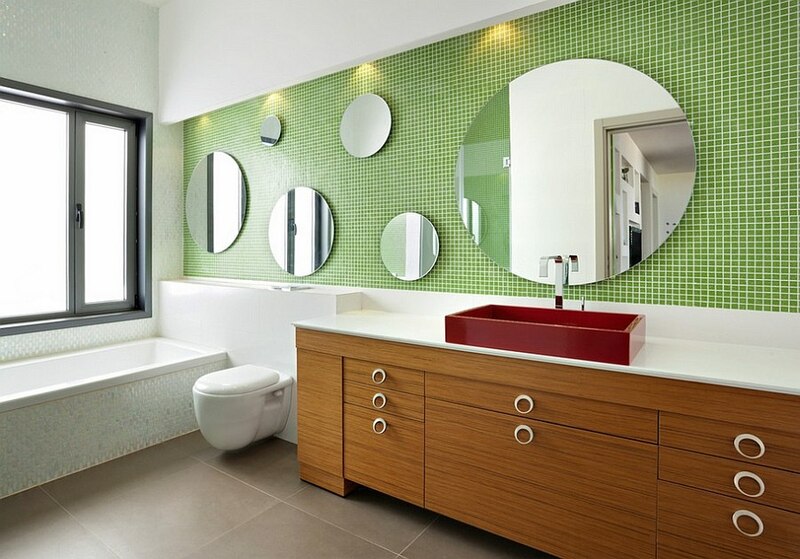 Remember, though, that the brighter the shade of green, the more sporadically it needs to be used to create the maximum impact. 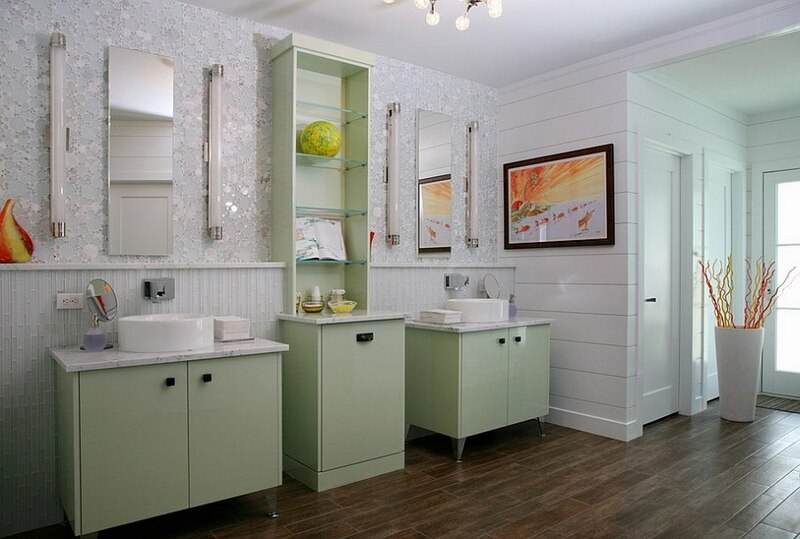 A bold look does not necessarily mean you pick a really bright shade. 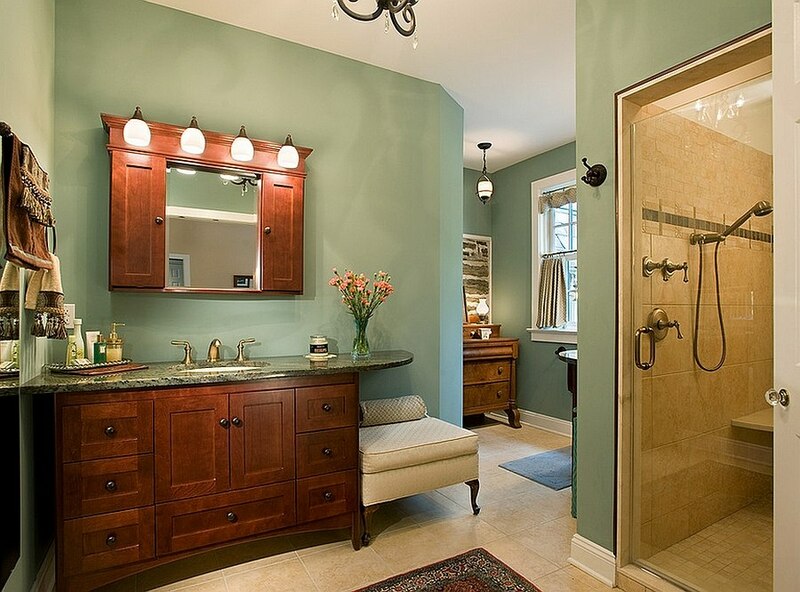 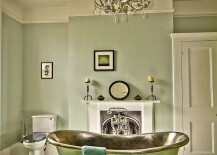 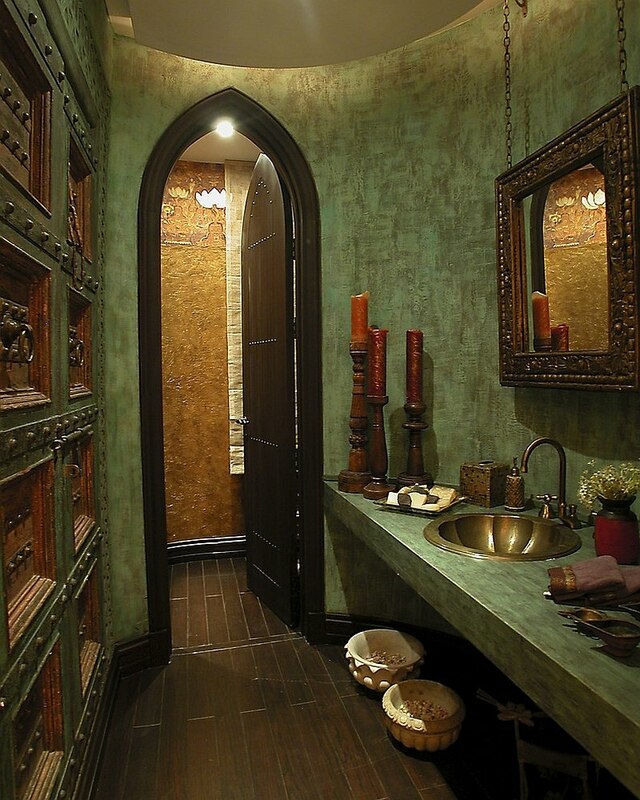 When used right, calmer tones of green can have a similar effect while giving the bathroom a cool, laidback appeal. 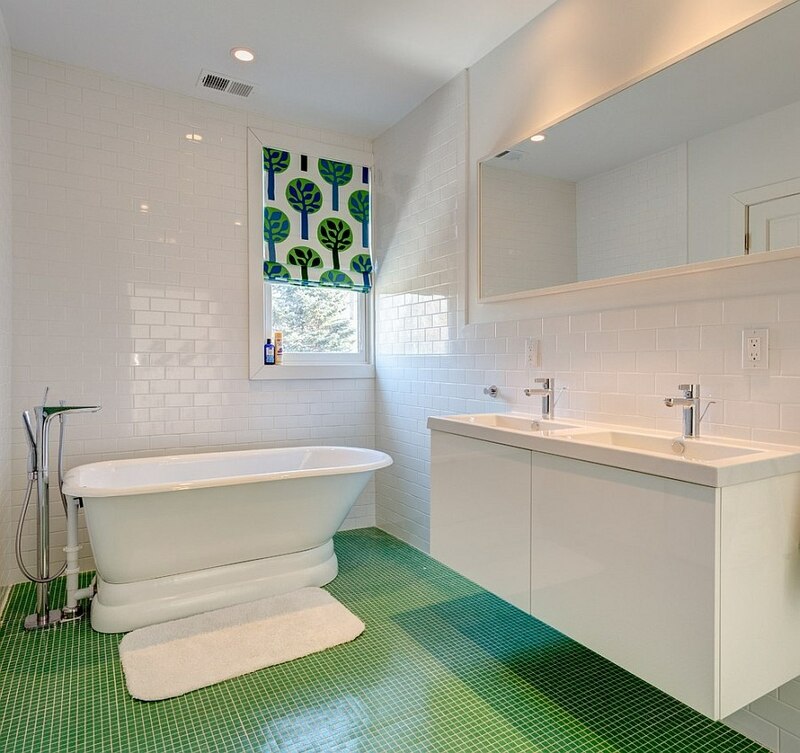 Painting the walls green or turning to bright green tiles with a glossy tinge are the most popular ways that homeowners seem to add the color to their bathrooms. 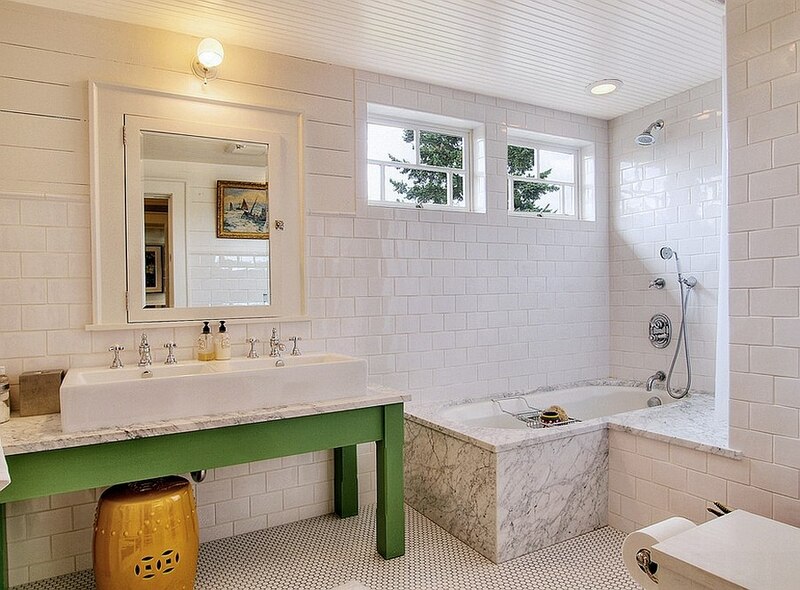 If you are tired of the classic blue and white color palette in the bathroom and are looking for an alternative that is equally breezy but far more exciting, green is the way forward. 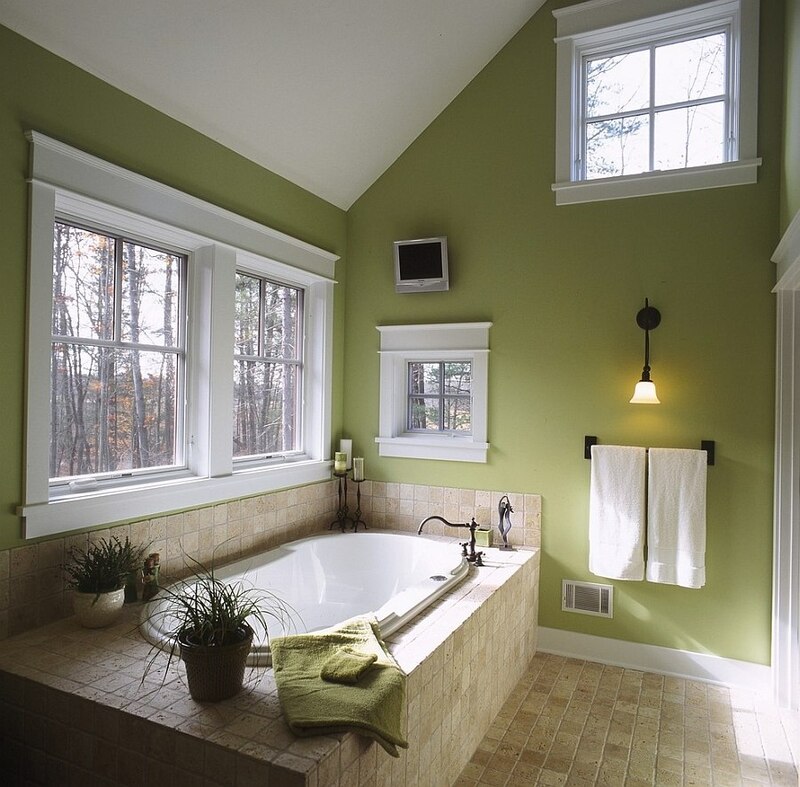 The trend of turning the master bath into a spa-like getaway is increasing rapidly, and green lends itself perfectly to this task. 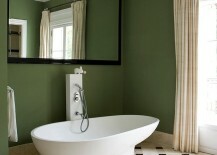 Serene sage green, gorgeous mint or even the vivacious Paris green is ideal for such a makeover. 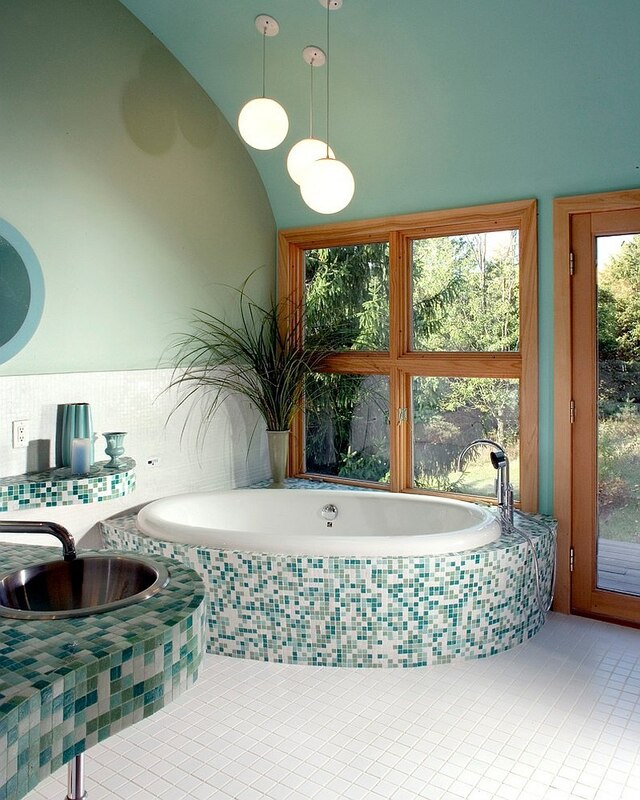 For those in search of the perfect compromise, try out colors such as dark turquoise or even Ming to get that balance between both blue and green just right! 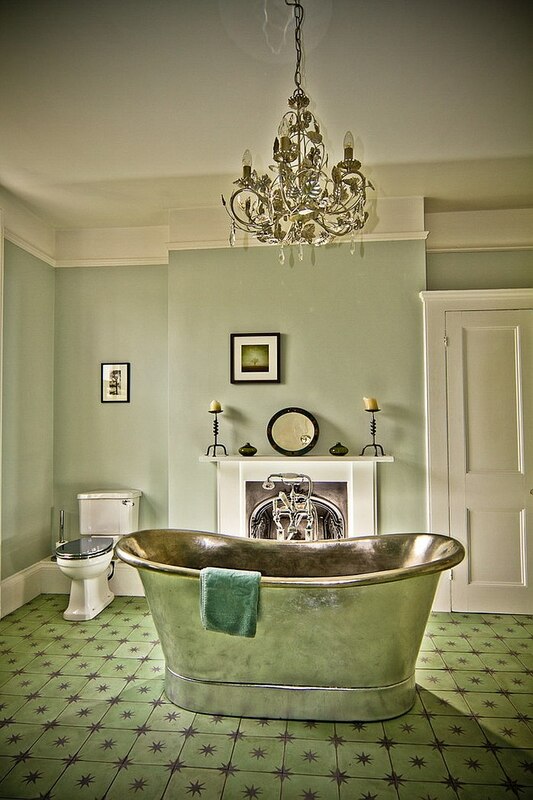 No matter what the shade, ensure that the green you use is not overbearing and gaudy when shooting for a soothing ambiance. 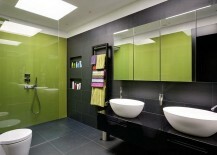 Adding green to your bathroom does not necessarily mean repainting the walls or getting brand new tiles. 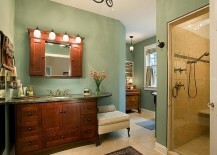 Sometimes less permanent and cumbersome additions can create greater visual impact when used right. 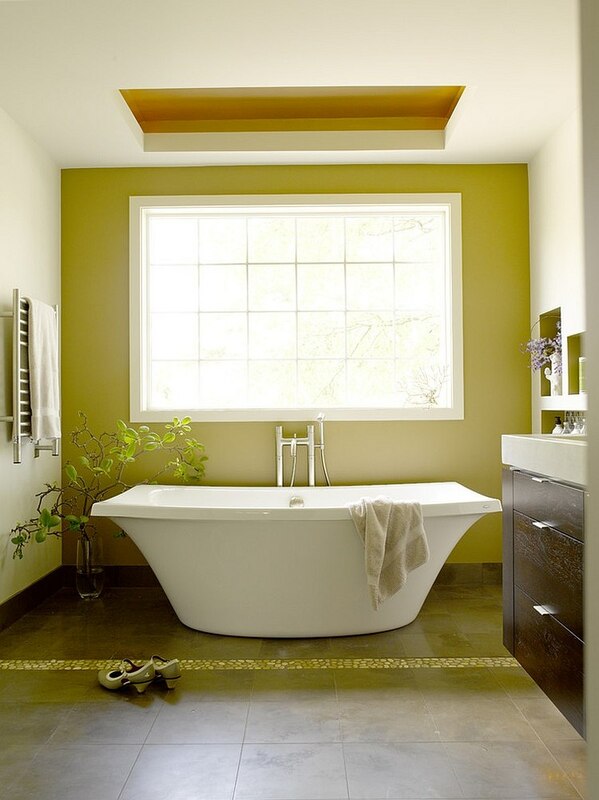 Colorful standalone bathtubs are all the rage in recent times, and they are available in a variety of themes varying from the vintage to the modern. 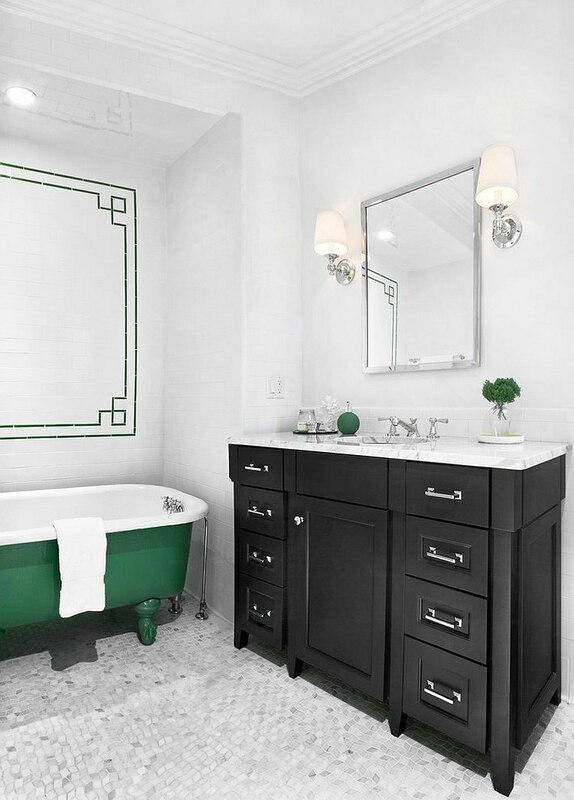 If a green bathtub does not do it for you, then a vanity in green or even a few simple, cleverly placed green accents in a black and white bathroom can get the job done. 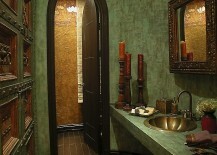 So are you ready to go green?